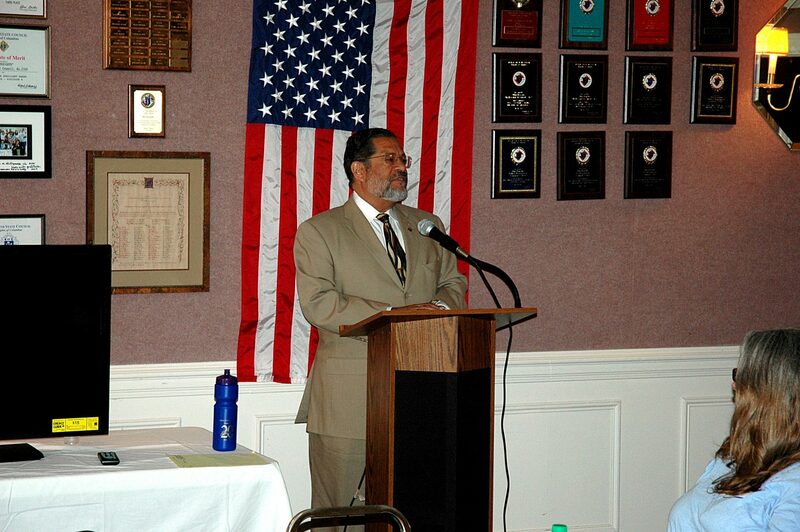 Coalition members, guests, and speakers met in Forest Glen on Saturday, April 27, 2013, for the Annual Meeting. The venue was the Fr. Rosensteel Council of the Knights of Columbus Hall. The weather cooperated and approximately 35 people attended the meeting. The silent auction table opened early with many items available to view and place bids. Sandra Wright assisted with the gift shop while Amanda Becker moved around the silent auction tables, collecting donated items, preparing bid slips, and answering questions. Members graciously donated over 34 items raising over $350 for the Coalition’s work. At 9:15 a.m. President Eileen McGuckian opened the meeting. She welcomed all who made the trip to Silver Spring. Secretary J. Patrick Warner briefly discussed the facilities and the history of the area. The business meeting was held including the election of officers. Visit the Board page to meet the Officers and Directors for the coming year. 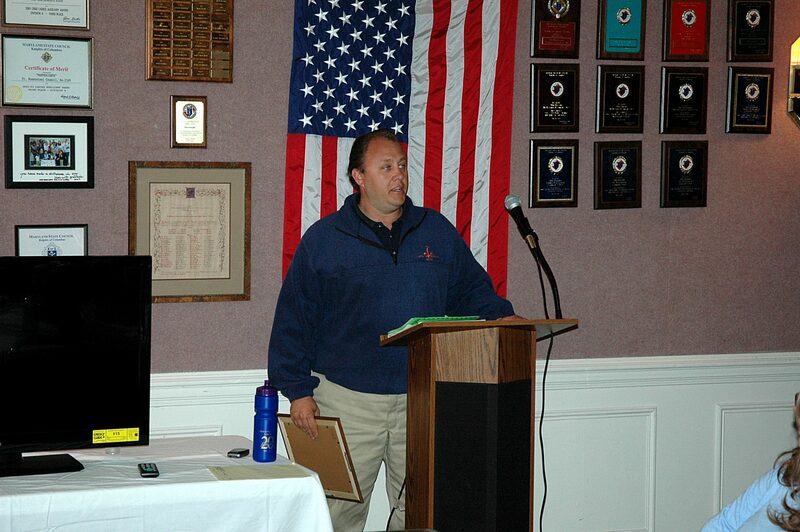 The Coalition presented two Periwinkle Awards this year. 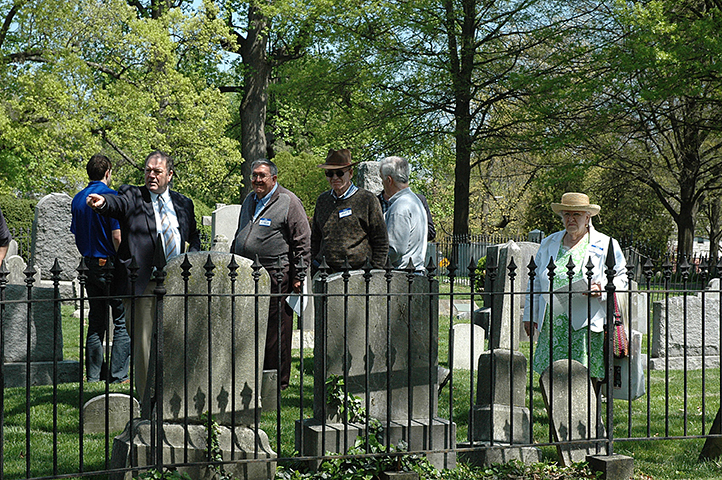 The first recipient was All Hallows Parish Cemetery Committee located in Anne Arundel County. Committee member Bridget Blake was present to receive the award. Our second recipient was Robert Mosko. 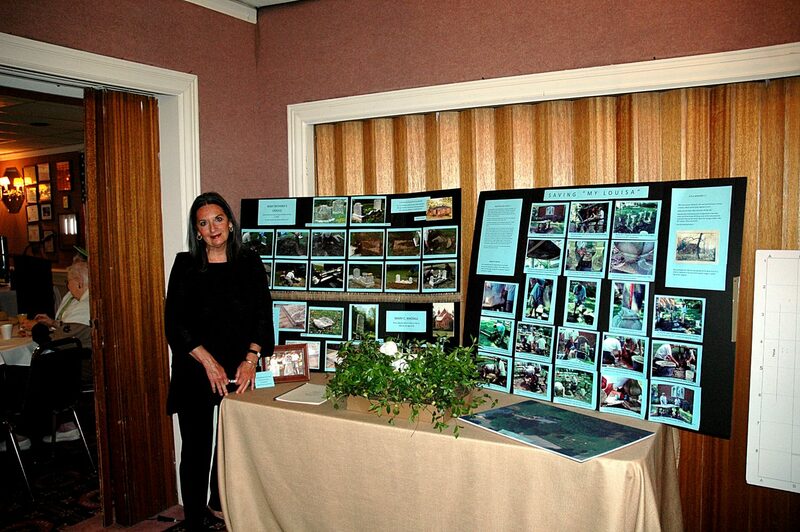 Visit the Periwinkle 2013 page for a full report on the recipients of the 2013 Award. The keynote speaker for the Annual Meeting was Erich March, industry representative on the Advisory Council to the Maryland Office of Cemetery Oversight (OCO). March Funeral Homes, which began in 1957, is today one of largest African American funeral homes in the United States (serving 3,000 burials and funerals each year) and is caretaker of the largest African American cemetery in the country. Mr. March described how since the 1970s families have relied upon both funeral homes and cemeteries, and how OCO was formed in 1997. OCO’s responsibility is for consumer protection and concerns. The office director, Marilyn Harris-Davis, relies upon administrative support and on recommendations of its Advisory Council for Cemetery Operations. OCO follows up complaints, mediates conflicts, and has legal authority to file and pursue criminal charges against cemetery operators. OCO is authorized by the MD General Assembly through 2022. OCO has thus far catalogued more than 5,000 cemeteries in MD. Of these, it only regulates and charges fees to 72 because the law does not cover nonprofits or family and religious cemeteries. OCO also regulates 46 monument dealers and 6 nonprofits that sell burial goods. The law requires that 10% of the money received for every burial contract be maintained in a perpetual care trust account so it can be tapped to maintain that cemetery; only interest income can be used for maintenance, roads, etc. Many cemeteries fall through the cracks: What happens when all land is used and no income derives from lot sales and burials? What if the cemetery is abandoned? Who will administer the perpetual fund for a defunct cemetery? At the request of the General Assembly, the Advisory Council came up with a proposal to aid neglected cemeteries through the Maryland Cemetery Heritage Program. Donations and local government participation are voluntary, and the program would provide resources (funds and person-power) for abandoned and neglected cemeteries. This proposal remains on paper until private individuals, public officials, and perhaps CPMBS pick up the banner. What do you think?? After our guest speaker we held an Open Forum. President McGuckian asked the attendees to stand in turn and introduce themselves to the group. After the introductions the floor was open for anyone that had questions, needed guidance, or just wanted to discuss their cemetery. There was a “Walk and Talk” program held after lunch. 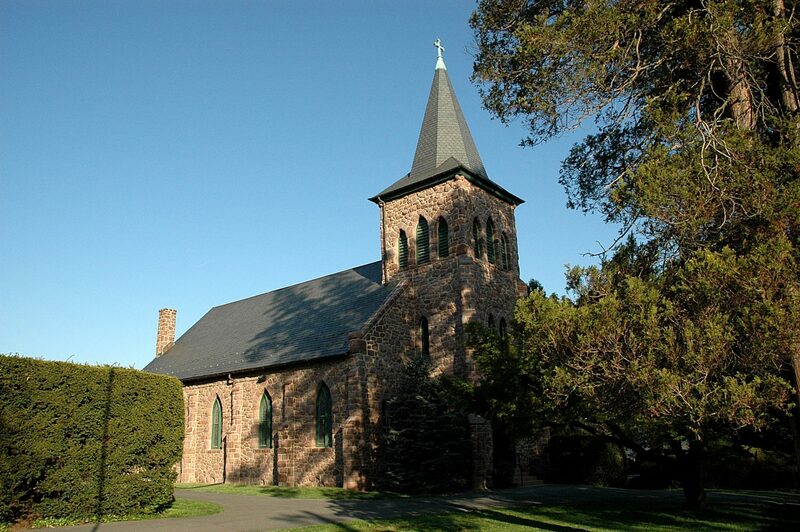 Joseph McPherson, a local guide discussed the rich history of the area, St. John the Evangelist cemetery, the historic 1894 Baldwin-designed Gothic Revival stone church, and the replica of the original Carroll Family Chapel that stood on their large estate. 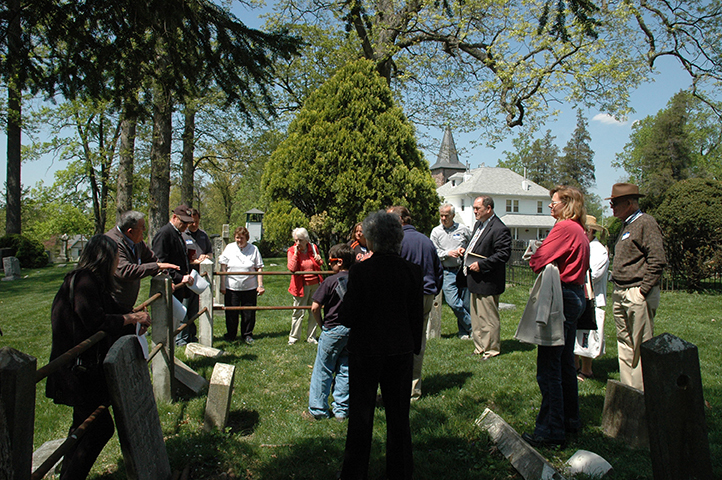 Burials at the cemetery date back to the 1790s, including the Carroll family and other early residents. 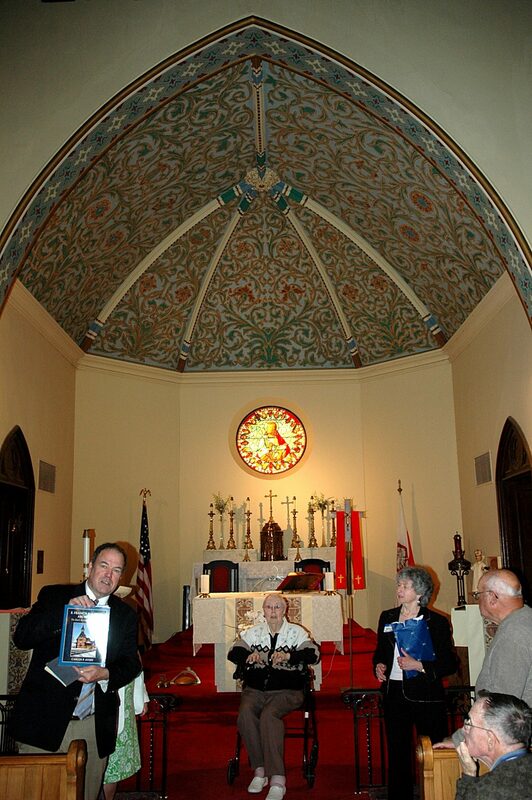 After Mr. McPherson’s introduction, the attendees were led to the stone church where additional information was provided. 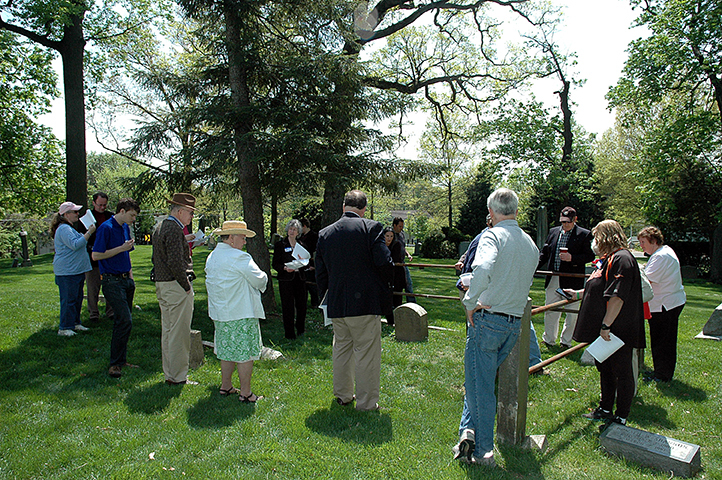 Afterwards Mr. McPherson led the group into the cemetery and continued to provide background information as the group moved throughout the cemetery. The Carroll Chapel was opened for our tour and Geraldine Bonin was present in the Chapel to answer questions. Eileen McGuckian took the lead for the planning and execution of the Annual Meeting with assistance from Pat and Sarah Warner and Dave Mills. Job well done as it was another successful Annual Meeting.